It might seem that everyone already knows how important corporate identity is in marketing. However, it is still very common, especially in small and medium enterprises, to find a lack of consistent perception from the outside based on their heterogene CI. Corporate Identity – What Is It? Visual identity, Corporate Identity (CI), visualisation – the most commonly used term is corporate identity. CI consists of different graphical, musical, and topographical elements, as well as others, which make up the overall public image of the company. All elements, along with the directives concerning their use are collected in a so called style guide, or handbook. Consistent use of such a handbook makes a company is easier to identify. In other words, it is about values, characteristics, and connotations triggered by the brand, i.e. the related image. A positive, coherent image will also stay longer in the customers’ memory. Among all elements, a coherent visual identity is the most crucial one of the whole identity. CI consists of many elements. The most characteristic ones, with which a company usually starts planning its image, is the company’s name and logo (logotype). These two elements are remembered the fastest. The name should stand out on the market and be related to the company’s main product, value, or activity. The logo is, in other words, a graphic representation of the company. A symbol which is well-designed, characteristic, and related to the company’s main activity will help identify the brand correctly against competitors. The logo can consist of a symbol, one, or more letter(s) and/or the company’s name. The logo should be characteristic and easy to remember. We know from experience that it is very difficult to design a good logo and for that reason it is good to commission the design to a professional agency. The agency usually first leads an interview about the company’s product or service and then analyses the company’s environment and competitors. On the basis of this information, it designs a characteristic and coherent logo. The next characteristic factor which helps to stand out on the market is color. Color is remembered very well. You can realise how well it takes root in memory on the basis of these colours. This characteristic color combination is recognised worldwide. When you think about yellow and red, the brand that almost inevitably comes to mind is McDonald’s. And what do you make of the fact that McDonald’s carried out a rebranding activity in 2009 – to made its brand image more “green” – and now uses yellow on green? A company’s typography should be consistently used in all internal and external communication materials such that it is univocally associated with one brand. Printed materials (letterhead paper, envelopes, folders, business cards, document forms, and others) – should be coherent with all other CI elements, i.e., they should be designed using a the color palette defined for the CI, be typeset using the predefined fonts, and follow all remaining elements of the Corporate identity. At this point, I would like to mention the so-called constant elements – this is a defined layout of a company’s name, logo, and other necessary business data, that are required to be on all printed materials. This also refers to Smaller identification elements, including ID badges for employees, company stamps, all types of printed material, leaflets, car branding, the interior design of buildings and workplaces, specific clothing, information boards, packages, and so on. An core element is the CI (Corporate Identity) handbook – it serves to protect the coherence of the entire visual corporate system and helps to standardise it, because it contains rules for the use of any particular element. It determines how to use it, defines size and placement, and also defines boundary conditions, such as the protective field for the printed area (e.g., a minimum distance to other elements). Undoubtedly, the skilful and consistent use of Corporate Identity enhances a company’s market position, enhancing its competitiveness and recognisability. 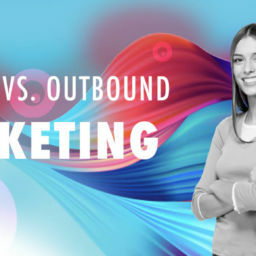 Thanks to the positive experience of known brands, more and more companies are beginning to see the benefits of CI and are convinced that with its help they can reach their target groups’ mind more efficiently and effectively. What Determines Good Corporate Identity? Individualism. The answer sounds trivial, but if we think about, it is uniqueness and inimitability that makes our design stand out. It is ultimately about distinguishing yourself from the competition, which, for instance, can not be achieved sustainably by duplicating the style of the market leader. Completeness. Each element of the CI are part of a coherent whole. This means that e.g. a good logo corresponds to the chosen typefaces, that the colours used for business cards (see how to prepare business cards for printing HERE) and other materials correspond. A simple rule many companies seem to forget about. Corporate identity is the image of a brand and at the same time a message sent out to its target groups. Corporate Identity, as the name implies, should be brand-specific and evoke relevant associations. It also should be easily recognisable in its content so that customers and stakeholders can quickly understand the conveyed messages. Corporate identity is a symbol of its company’s reputation. The visual language of the brand, or simply the mere typeface used, can and will be interpreted in terms of quality of the product or the service itself. We should be aware that any badly designed, sloppy element can immediately make customers averse to the company. Corporate identity can also fulfil other functions in the organisation, e.g. it can be used to present, in detail, other product branches, or services, belonging to the company. An individual brand identity can also be created for specific product lines. An example of this is the brand Nike, which has its own CI, but expands on it for specific product lines, such as Air Jordan, Nike Golf, or Nike Skateboarding, thereby generating a set of unique CI which at the same time clearly fall under the umbrella of the main corporation. Identity is also important for sub entities within an organisation in order to identify with their own brand, which they have created, which they represent, or which they simply work for. An example of this are armed forces, where organisational units have their own visual sign representing them them as a group. Skier, vintage furniture lover, acting at the fulcrum of aesthetics. A strategic marketing specialist with a strong and varied background in consumer centric and business to business marketing programs. 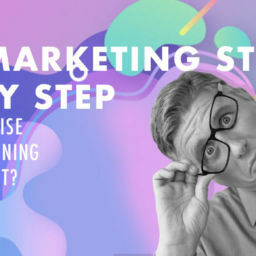 An e-marketing strategy step by step. How to advertise Web-Based Training on the Internet? 32 PLACES WHERE YOU CAN CHECK THE EFFECTIVENESS OF YOUR MARKETING STRATEGY. Video Marketing – Is Investing in Films Really Worth It? Reklama w grach – czy agencje marketingowe powinny z niej rezygnować?